University of Alberta Botanic Garden: Construction of the 4.8 hectare Aga Khan Garden is well underway. 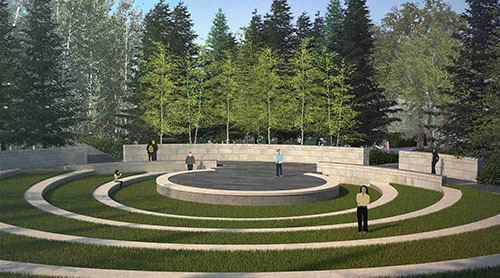 Construction of the spectacular new feature garden, made possible by a $25-million donation to the University of Alberta, is scheduled to be completed by summer 2018. The design of the Aga Khan Garden includes a pavilion, which is critical, both aesthetically and functionally, to achieving the vision for the Aga Khan Garden at the University of Alberta Botanic Garden. Your support is needed to build the pavilion.